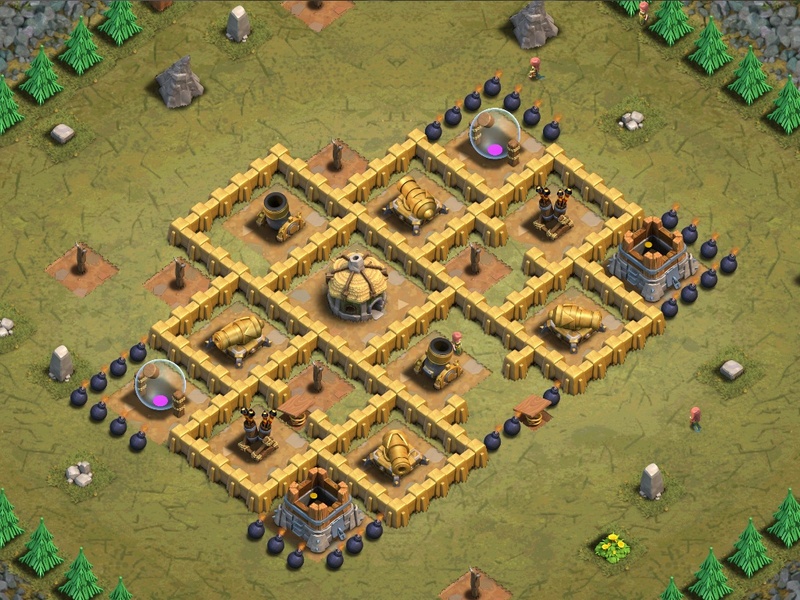 Destroy the Air Defenses with your Archers. Then deploy your Balloon. 1. Destroy the Air Defense wit 25 Archers. 2. Destroy the other Air Defense with the rest of your Archers. 3. Deploy your Balloon and let it finish the map. Swarm many Balloons near the Air Defenses, then as both Air Defenses go down there won’t be anything to stop them. Or use one Dragon per Air Defense, then use 3 Balloons per Air Defense to support. Use Minions as needed.